Ever since time immemorial, certainly ever since their discovery and widespread use, alcohol and drugs have been abused. The reasons for this are very personal to those who have come addicted. The desire to simply lose oneself, to escape from the reality around them, becomes so strong as to make the addict dependent upon their drug of choice, to cope, to get through the situations that have enveloped them. For them, it feels like the only solution. Throw in a chemical dependence upon the drug in question, a physical addiction and the altering of how the brain functions, and you are left with a chronic disease that, left untreated, will push the sufferer towards their own personal hell, constantly anguished. Anxiety itself is, medically-speaking, a range of disorders, whose symptoms can include apprehension, nervousness, constant worrying, and, ultimately, fear. All of these will alter the way you act, you behave, and, most importantly, the way you feel. Anxiety affects us by making us react to situations in a way that is out of proportion to what is required normally. Its direct link to addiction is clear – addicts demonstrate anxious behavior far more than the average person. Sadly, an addict who is experiencing anxiety is less likely to enter into any form of treatment for their addiction. The perpetuation continues, unchecked. This article will describe the 6 ways in which anxiety and addiction are linked, enabling you to identify potential issues within yourself or within a loved one. Nothing is conclusive as a person’s addiction is so personal in nature. However, noticing and getting help for an anxiety disorder may prevent the spiral of addiction as mentioned above. 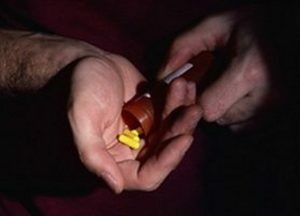 As described in the introduction, the most direct link between anxiety and addiction is that of self-medicating, making you think you are in control, which can lead to addictive behavior. Anxiety can be looked at as a series of thoughts, feelings, and behaviors – the sufferer will have worrying thoughts, creating false feelings that lead to a behavioral response. In this case, self-medication. All of these individual characteristics will increase anxiety. They lead to an unhealthy desire to alter what has gone before, what is in the past, and, even though this is impossible, it consumes the sufferer. The past is past, but the future is yet to be. Another link between anxiety and addiction is an unhealthy fear of what may or may not happen. This is, to a degree, as impossible as altering the past, though we can, as individuals, put in place certain things that can shape our future. Both of these, changing the past and trying to predict the future, will increase a person’s level of anxiety, possibly to the point of becoming addicted to their self-medicating drug of choice. Trying to avoid a sense of physical unease and emotions that are hard to deal with are symptoms of both anxiety and the withdrawal from substance abuse. Therefore, to avoid one, the addict uses or is affected by, the other. It is a constant battle between the two. Furthermore, addiction will hide clear symptoms of anxiety, making that specific disorder so much harder to treat. A complete treatment for those suffering from both, known as a dual diagnosis, will deal with both issues – the withdrawal and the anxiety. This treatment will involve an array of specialists (medical staff, therapists and behavioral experts) who will assist during detox and treat the ensuing high anxiety. The successful treatment of an addict’s anxiety disorder will go a long way in relieving a possible relapse. Anxiety can be treated successfully; addiction, however, has no cure, only recovery through sobriety. Remaining sober and abstinent from the previously abused substance in times of stress, when previously the individual has self-medicated when anxious, is a constant issue as to their continuing health. Practicing the techniques that formed an essential part of their anxiety treatment needs to be addressed as part of their new way of being, and their new life of sobriety. When dealing with co-existing conditions such as anxiety and addiction, treatment of both is vital. One will, if unchecked, lead to the other. These 4 important things to know about anxiety and addiction (dealing with the past, what the future brings, the relationship between anxiety and symptoms of withdrawal, and working to ensure the chance a possible relapse is diminished) are important to understanding when thinking of your own situation or that of another. Is there something else that you think would be beneficial to other readers regarding the relationship between anxiety and addiction? Maybe an experience you wish to share? Please let us know with a comment below. Understanding how anxiety and addiction can become so entwined with each other is possibly the first step to confronting both in your life. 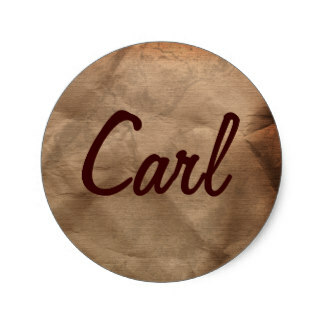 Carl is a 28-year-old wanna-be writer; He’s also a recovering addict in the path of self-discovery. His goal is to learn as many things as possible and to seize every single moment I live, pretty much trying to make up for all that he missed on the years he was lost in drugs and alcohol (among other things). He’s in love with tech, cars and pretty much anything that can be found online. Previous PostHow Are Depression And Addiction Linked?